This Elite could have won Le Mans but became linked with Tragedy. Mike Lawrence examines the mystery, while Sir John Whitmore steps behind the wheel again. 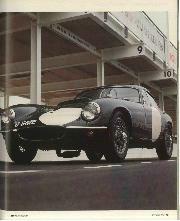 In 1959 the Lotus Elite made a huge impression in racing. 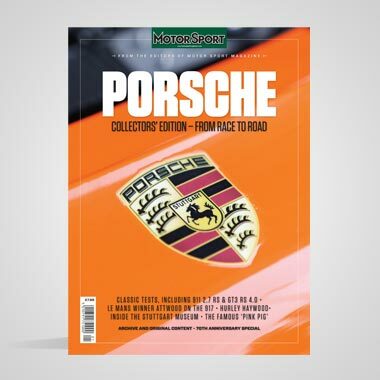 Sportscar racing was in decline, while GT racing was booming, partly because of the high windscreens the FIA insisted on which slowed the sports-racers. Since race 1.3-litre Elites could hit 137mph with just 110bhp, Colin Chapman figured that one fitted with a 180bhp 2-litre Coventry Climax motor could win Le Mans. Lotus took an Elite Series II body shell (chassis 1255) and cut and strengthened the engine bay to accept the Climax FPF. An aluminium fuel tank, with a recess for the spare wheel, was positioned on the left of the car to optimise weight distribution - standard Elites had a tank on the right - while the main tank was in the boot. Lotus 18 Formula One coil spring and wishbone front suspension was fitted, with adjustable shock absorbers. The 18 supplied also the 10.5in front brakes and the rack, which was mounted ahead of the front axle. Completing the plot was a ZF gearbox and limited slip differential, competition seats, dual brake master cylinders, unusual at the time, and just one windscreen wiper, to reduce drag. Externally, however, the car was close to standard. That was part of Chapman's plan; he hoped the car's success would sell standard Elites. However, according to published sources, the car, called the LX, was nose heavy, the steering geometry not right and the brakes inadequate. Lotus could not spare the time to fix it, so offered it for sale together with a job list and the promise of factory assistance. 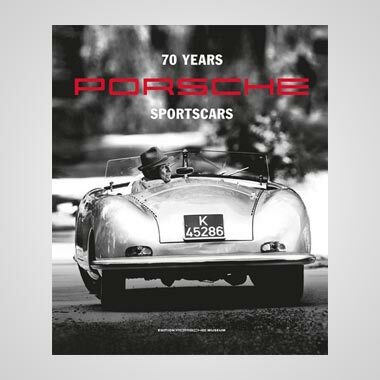 It was bought by one Mike Taylor, who had come to prominence by winning the 1958 MOTOR SPORT Trophy, a championship for drivers at Goodwood. For 1960 Taylor bought a Lotus 18 and, after non-championship races at Goodwood and Silverstone, entered the Belgian GP. The Elite was entered for Le Mans the following weekend with Innes Ireland and Alan Stacey to drive. Then it all went horribly, freakishly wrong. During practice at Spa, Taylor's steering broke at Stavelot and he sustained injuries which ended his career. The next day, in the same race that claimed the life of Chris Bristow, Stacey died when he was hit in the face by a pheasant. And it was not over yet. At Le Mans, Jonathan Sieff, a business partner of Taylor's, tried the LX in practice, but elected to drive his 1300cc Elite. John Whitmore, who was reserve for the Border Reivers Aston Martin DBR1, went out in the LX and had completed five or six laps when he came across a serious accident. Sieff had crashed at around 130 mph. He was found, terribly injured, in the garden of a house on the side of the circuit and few gave him any chance of survival. 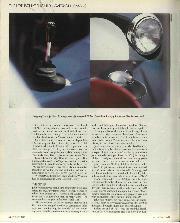 Yet Sieff did pull through and in 1965 he bought the controlling interest in Cooper Cars. Innes Ireland, who accompanied Sieff to hospital, was devastated. In the course of a few days his friend Alan Stacey had been killed; his entrant, Mike Taylor, was in hospital with a broken neck, while Sieff lingered between life and death; the common link was the LX. Innes fled Le Mans and the entry was scratched. The car passed to David Buxton, founder of Team Elite, who planned to run it at Le Mans in '61. Buxton entered it in a club event at Rufforth on April 1 with Bill Allen driving. Allen set pole and stormed into the lead, but the car slid on a damp track at the first corner. He hit another car, damaged the radiator and retired. The Elite built to win Le Mans never raced again. Soon after, Team Elite went into receivership and the LX was stripped. Later, the entity was sold to Bill Bickerton who fitted a Climax FWE engine and used it for club racing. Over the years, it was used as a road car, crashed, and stripped again, and the damaged shell was finally bought by Dr Charles Levy of Boston, Mass. Levy enlisted the help of former Lotus engineer Ron Hickman. He says "I was 95 per cent certain it was the Elite within 30 minutes and, a day and a half later, I was 100 per cent certain" (Three others claim its identity.) 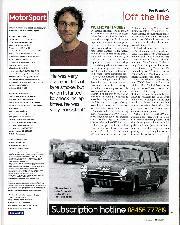 Ron then advised on the car's restoration which was undertaken by Kelvin Jones at VM Sports & Race Cars. 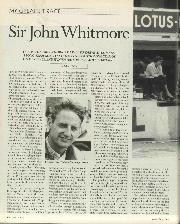 We met at Goodwood just 13 days after John Whitmore had co-driven an Elite at the Revival Meeting. John Whitmore was born heir to a baronetcy and a large estate. He says, "My father was a Victorian: he was 65 when I was born in 1937. He was Lord Lieutenant of Essex and a remarkable man in many ways he commanded a brigade in the First World War. "He never drove and did not approve of my racing. He had my life mapped out: Eton, a commission in his regiment, then farming. But he didn't ask me, and in my teens I rebelled. At the time, I was learning to drive and I used driving to channel my rebellion. Racing became the means by which I could define myself. 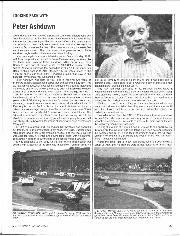 "I bought a Lotus VI and met Alan Stacey, a Lotus works driver who became my best friend. Alan was a superb, sensitive, driver and if he did not show as much in his early Formula One career, it was because it was his way to ease himself into new situations." John joined a set of young men who liked fast cars, motorbikes and girls. Lola's works driver Peter Ashdown was part of it and later so was Steve McQueen, whom John entered in a couple of races in 1961. John thought McQueen had great potential, but then The Magnificent Seven was released and Steve was summoned home. John continues, "In 1958, I did six club races in the Lotus VI to get my international licence, and wanted Stacey's immensely successful Lotus XI. Alan suggested an Elite would be better, talked to Colin and I got the fifth one made. I was a nobody, it was all down to Alan." 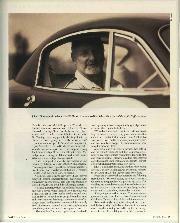 From 14 starts in his Elite in 1958, John won 12 times, and then wrote it off at Monza. His money had run out, and his father would not help, but others offered him drives in Formula Junior and Formula Two. The 1960 season proved uneven, but engine tuner Don Moore came to his aid for 1961, with a race-prepared Mini and with engines for John's Formula Junior Lotus 20. John says, "I never felt really comfortable in single-seaters, I don't know what it was, perhaps the sight of the exposed wheels. I liked a lot of car about me." Before the end of 1961, John clinched the British Saloon Car Championship and was signed by Ken Tyrrell to drive works Mini-Coopers for 1962, when he finished runner-up to team-mate, John Love. "It was team orders," he says, "Love won the first race, so I played second fiddle. 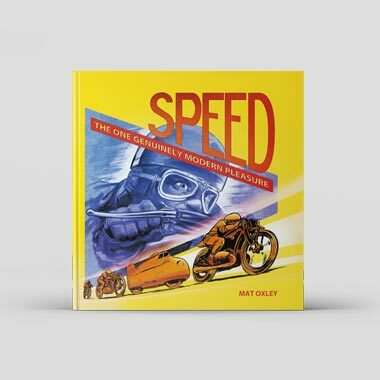 It rattled me, so at Aintree, in the British GP Meeting, I made my point by shooting off into the distance and slowing only on the last lap to take second." John was runner-up in the Saloon Car Championship to Jack Sears, then switched to a Lotus-Cortina in 1964, when he was runner-up in class in the European Touring Car Championship. He won the title outright in 1965 and performed strongly in 1966, when the Alfa Romeo GTA had the advantage at some circuits. He also distinguished himself at the wheel of an Elan entered by Stirling Moss and in a Shelby Cobra Daytona: "Amazing power and grip, all brute force and ignorance, just like me." John was also part of the Ford GT40 team and then, at the end of 1966, he retired. "I had gone into racing to prove myself and I proved to myself - that's the important point - that I was as quick as anyone in saloons and GT cars. The only progression was to Formula One and I didn't like single-seaters. "I believe in quitting when you're ahead, because the only way is down. When I came back to Histories with a McLaren M8F in 1990, I took a third, a second and a win, and then I stopped. You can't get better than a win and, while I enjoyed the racing, I was more aware of the danger than I had been first time round. In the early 1960s there was an horrendous attrition rate, but it was part of the game and it couldn't happen to me. "The trouble is I'm very competitive and I realised I was beginning to take racing seriously again. I preferred to ensure that my son had a father. "When Lord March asked me to drive at Goodwood, I agreed because I have so many great memories of the circuit, but I insisted that he found a Lotus-Cortina that was not too fast. I had to contain my competitiveness, and that would only happen if I had no chance of winning. He did, and I lost!" After John retired in 1966, he farmed, then sold up and moved to Switzerland and then California, where he lived as a hippy, studied psychology, directed a film, and married again. He is now a leading management consultant and the author of many books on the subject, one of which is an international best-seller. John is a complex man, quite unlike most racing drivers. Our conversation ranged over many subjects, the Meaning of Life, the Universe and Everything. Much can be learned about him from the following story he told. "We were testing our Lotus-Cortina at Goodwood and Jim Clark was present. He asked if he could try my car and went round four-tenths faster than my best time. I was then due to do three flying laps but, on my out-lap, something remarkable happened. "Everything was in slow motion. The grass seemed greener, the sky more blue, and I could see the spire of Chichester Cathedral. I was filled with intense calm. "I did one flying lap and drove to the paddock. I could feel the hairs rising on the back of my neck. It was the most marvellous feeling I've had in my life. Before anyone told me, I knew I'd gone faster than Jimmy. Thereafter I could replicate my time, but without that feeling, which I can only describe as a spiritual experience." If it was so good, I ventured, why didn't he drive more laps? "I couldn't take any more, I felt something like it on perhaps four other occasions, but I suspect the really great drivers are on that level much of the time. "It's a case of relaxed concentration. If you read the literature on sports psychology you find parallels in other sports - mystics report the same. It's to do with concentrating on the instant present within a tight discipline, whether it is defined by car and track, the rules of a game, or those of a monastery. That's why some drivers, like Masten Gregory, whom I knew very well, were able on occasion to produce extraordinary performances." 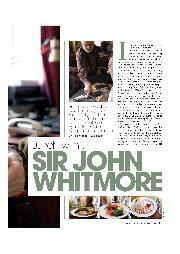 Sir John Whitmore is indeed out of the usual run of racing drivers and the above only scratches the surface. 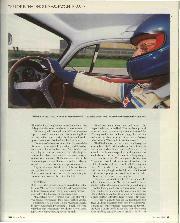 But we were not at Goodwood to discuss philosophy, we were there to assess the Lotus Elite LX. Before we met at Goodwood, John's recollection of the LX was: "After Jonathan Sieff reverted to his original entry, Mike Costin came down the pit lane looking for someone to drive the Elite and he chanced on me. "I must have driven it for five or six laps, at night. It was stable, if softly sprung - Innes said it felt like a Cadillac - but I found it no problem. On the Mulsanne Straight the rev counter said I was doing 172 mph, whereas, with their high windscreens, cars like the Aston Martin DBR1 were only achieving about 165 mph. 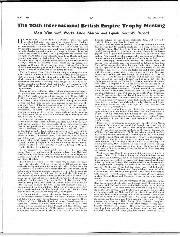 "After Jonathan's accident, Innes and I went to the hospital and things looked bad. We were sharing a hotel room and Innes, who was superstitious, believed the LX was jinxed. At two in the morning, I handed him the keys to my Minivan and told him to take it. He drove to his home in Wales and laid low for a week." "The Elite LX is a car around which a mythology has accumulated. Sieff had limited experience, it was his first time at Le Mans. It was natural he'd prefer to drive a familiar car. Innes was spooked by all the accidents and he blamed the car, both then and subsequently. "I remembered the LX as being stable, but that was 38 years ago. Now I've driven it again, it confirms that opinion. It handles well, even better than Robin Longdon's car (DAD10), which I raced a fortnight ago. As for understeer, if anything it needs a little more, and I would fit stiffer front springs. That would improve the brake balance, but the brakes are basically fine. "There's no question this is the LX - it even has the little container which Bill Alan fitted to hold his sweets, and Kelvin Jones has done a wonderful job restoring it. 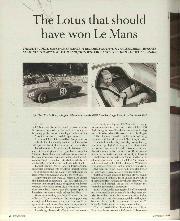 "As for it being a potential Le Mans winner, you can never predict the outcome at Le Mans. I co-drove an Elite with Jimmy Clark in 1959 and I never expected to finish, but two Elites started and we were I-2 in class." There are no plans to race the LX. First time round it had a had and unjustified press; now it would be interesting to put John Whitmore's assessment to the test. Our thanks to Charles Levy for the loan of his Lotus Elite. Potential buyers should contact Kelvin Jones on 01925 723679.